Back in late 2014, Nintendo’s then-president Satoru Iwata revealed that the company would be releasing a sleep and fatigue monitoring device as part of its ‘Quality of Life’ program announced earlier that year. 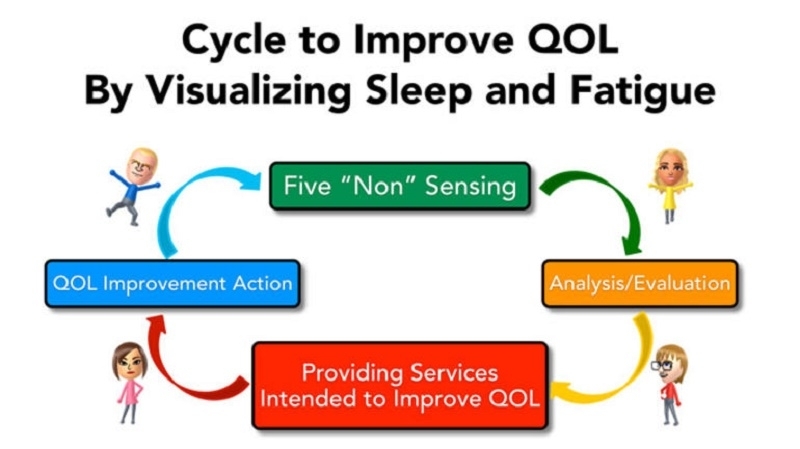 However, a report in 2015 suggested that the entire QOL initiative had become a low priority for the company, and now it’s been confirmed that the sleep-tracking device has been put on hold indefinitely. “In regards to the Quality of Life [device], which was not mentioned in any of today’s questions, we do not have the conviction that the sleep-and-fatigue-themed [device] can enter the phase of actually becoming a product,” Kimishima said in remarks translated by Wired. The device was to be created in partnership with US company ResMed, a specialist manufacturer of sleep disorder products. The hand-sized device would have sat on a bedside table and used microwave sensors monitor sleep data throughout the night. It would then interpret this data and offer advice on how to get a better night's sleep. The announcement doesn’t mean that Nintendo has abandoned its Quality of Life program entirely. “We still believe there are things we can do in the general category of Quality of Life, and we will continue to study the possibility of expanding into this field,” added Kimishima. Part of the reason behind the company’s decision to put the project on permanent pause is likely because Nintendo has so much on its plate right now. After its profits took a dive last year, the Japanese firm will be looking at more lucrative areas for 2016, including the NX console, its move into mobile gaming, and perhaps an entry into the VR market.